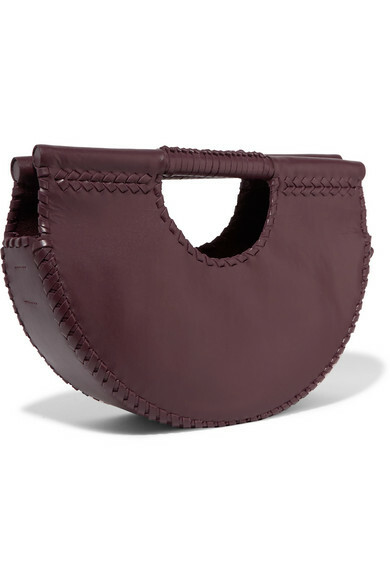 Ulla Johnson's 'Melora' tote has a distinctive half moon shape defined by whipstitched edges. 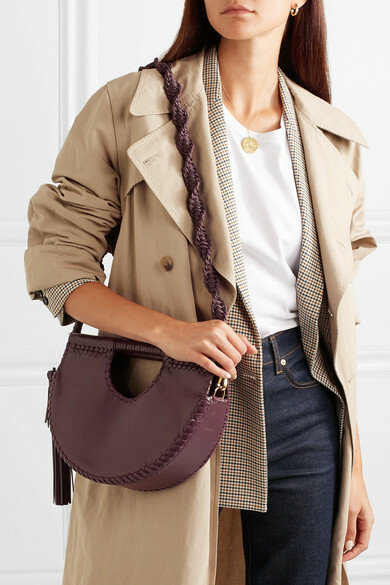 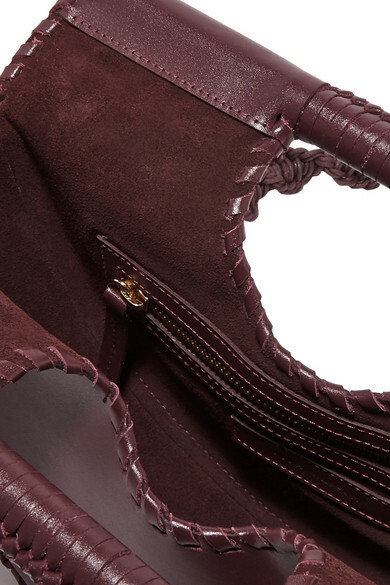 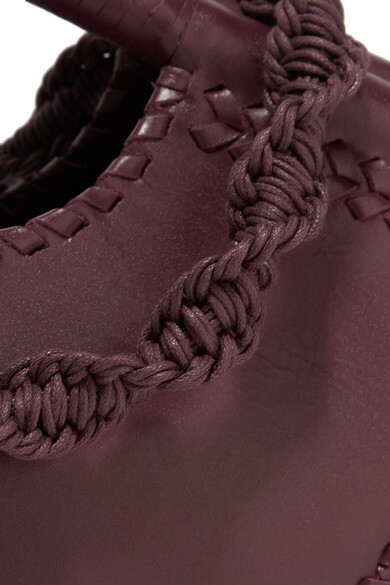 Made from soft burgundy leather, it has enough room to store your day-to-day essentials and can be carried by the top handles or optional braided strap. 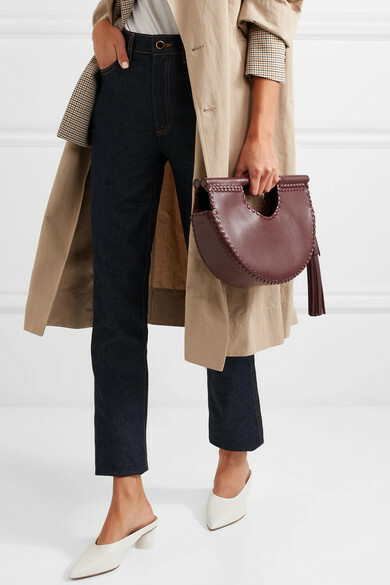 Shown here with: Acne Studios T-shirt, Khaite Jeans, Paul & Joe Blazer, Bassike Trench coat, Diane von Furstenberg Mules, Alighieri Necklace, Jennifer Fisher Earrings.